Looking for a new start this Spring? There are two open Read to Lead courses taking place this April and May at Calderstones Mansion House which will give a fresh perspective on reading and thinking about literature. Read to Lead is The Reader Organisation’s revolutionary course which introduces the working practice of shared reading. 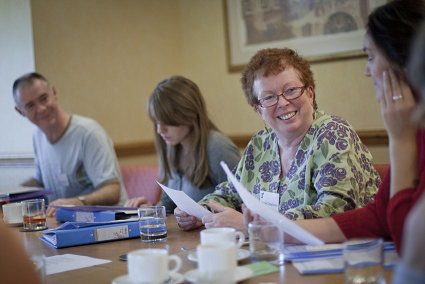 Over a stimulating, inspiring and enriching three days you will discover how to use literature to its full effect in shared reading groups and learn the skills needed to start your own group within your community. Following the course you will gain access to exclusive and specially tailored Ongoing Learning provision, offering support and enabling you to further your shared reading practice. On recent Read to Lead courses (January 2014), 100% of attendees said that Read to Lead has been an investment in their personal wellbeing and they would recommend to a colleague. Read to Lead costs £750 per person. This includes access to Ongoing Learning for 12 months. We offer a concessionary place of £250 on each course, and flexible payment options are available to all.